It’s one of the more interesting natural mosquito repellents: Make your dryer sheets useful in more than one way by using them as an anti-mosquito tool! No mosquito bites ánd freshly washed sheets, what more could a person ask for in life. Makes laundry a lot more fun for everyone (except the insects). This article will explain how dryer sheets and fabric softener exactly work to repel mosquitoes in an effective way. Let’s be real, it’s a pretty funny way to repel insects. Fresh sheets? Sign me up. The effectiveness of it all is questionable, but apparently, it works. In my humble opinion, there are a lot of effective anti-mosquito solutions, of which you can find many on my mosquito repellent overview page right here. But let’s maintain our focus on this particularly interesting Do-It-Yourself (DIY) solution, the fresh sheets. Do Dryer Sheets Prevent Mosquito Bites? One scientific study showed that gnats, a species of mosquito-like insects, did have a preference to move away from dryer sheets in a controlled environment. The chemical content of the dryer sheets had mosquito repellent properties. If this would make dryer sheets an effective mosquito bite repellent is uncertain. The real question here is how much gnats are comparable to mosquitoes. Gnats, also known as blackflies or midges, are a completely different order of insects, although they can also bite people. The same study conducted on gnats was found to also have some sort of repellent effect on some species of mites, beetles, weevils and German cockroaches. However, there is no real scientific evidence that tucking dryer sheets into your pockets, or placing them in locations where mosquitoes live has any impact at all on reducing your chances of getting mosquito bites. These DIY-solutions to repel mosquitoes have neither been confirmed nor debunked in a scientific way. This is exactly why I always tell people to generally stay away from unproven DIY insect repellent solutions. You will never know if what it is you’re doing is actually going to help your cause. Instead, do take the time and effort to research some more effective anti-mosquito products. I’ve got a whole bunch of those actually helpful products reviewed and tested on this blog. Just navigate to them using the menu at the top of this page: Clicking on the recommended products button will bring you to a good overview of some of the types of products I have reviewed over time. Some examples of product categories I have researched that do work against insects, include mosquito (magnet) traps, foggers, insect sprays, wristbands or even window and door stoppers. All of these preventive measures will help you in the fight against those tiny little pests. However, would it be the case that the damage had already been done, I also have reviewed and tested some good bite treatment options for you over on that page. Linalool: Naturally existent in plants and a heavy-scented chemical found in e.g. lavender and basil, which are both scents known to repel mosquitoes. Linalool is used by perfume and cosmetic companies to use in products for the flower-like odor. Some insects might find this chemical to be toxic, however, the overall repellent effects of this repellent is rather limited. Beta-citronellol: Another natural compound which can be found in citronella plants. These types of plants are known to repel insects like mosquitoes. Beta-citronellol has a scent that is very similar to a citrus. Using fabric softener with these specific substances (these two specific ones were the chemicals found in Bounce dryer sheets) will help you get rid of insects in your garden. Hanging up the sheets in your yard will actively help to remove species like gnats, as well as some specific species of mites, beetles, weevils, but also German cockroaches. These are all commonly found insects in yards across western Europe and the United States. Do All Dryer Sheets Keep Insects Away? As explained, there is no real scientific evidence for dryer sheets to keep mosquitoes away. But Bounce dryer sheets have proven to repel some insects, such as gnats. It’s the only brand of dryer sheets that was scientifically proven (under controlled conditions) to keep insects away. DIY mosquito repellents like dryer sheets or fabric softener are somewhat too obscure for scientific research. It is very likely that the Bounce dryer sheets scientific study on gnats has been funded by the company itself, for the sole purpose of a marketing stunt. We see companies with large marketing budgets doing this more often in other branches of industry as well. Take for example the many Coca Cola-funded research on sugary drinks and health risks. My personal advice on this issue would be to keep a watchful eye on all of the financial sources of research. Only by knowing exactly who funds a somewhat biased research result, you’ll be able to draw your own conclusions on how reliable it really was. Never trust a company with vested financial interests to infiltrate scientific research, because there will usually be some sort of manipulation of the final results going on. It’s the sad reality of the world we live in, yet it’s in some ways also good that some of the more obscure research can get done this way. That’s exactly the case for the topic we are discussing today. Fabric Softener Or Anti-Mosquito Trap? We have concluded that dryer sheets or any type of fabric softener will have some repellent effect on some insects (such as gnats). However, there has been no real evidence of mosquito bites being reduced due to using these type of DIY solutions. This leaves me with a short and simple conclusion. 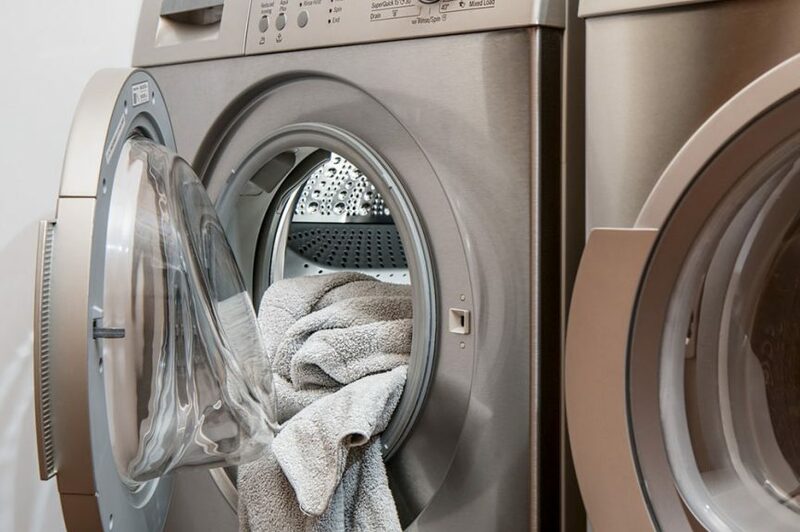 Dryer sheets are not a reliable mosquito repellent and you will not be able to reduce the number of mosquito bites in and around your home with it. Instead, you’ll waste your time fighting a problem with the wrong weapons. Let me arm you with some real anti-mosquito weapons that have been proven to work. That will probably make your summer evenings a lot better overall. Over time, I’ve personally tried and tested a large range of different anti-mosquito products, both to prevent insects from coming near my house (or garden), as well as to treat mosquito bites after the damage had been done. This useful anti-mosquito product overview page will provide you with my personal best solutions against mosquitoes and bites. I’ve explicitly kept the balance between effectiveness and cost in mind, which will save you a lot of money in the process and will help you get rid of those pesky blood-sucking mosquitoes. Happy hunting and make sure to stay safe out there!